Mountain bikers always have a trail that they hold dear and the towns that these trails reside in are also special places. The town’s featured on this list offer riders amazing trails, biker-friendly atmospheres, and great places to chill for a coffee or beer after a day out on the track. Not to mention, the friendly locals always know the best kept secrets the town and the trail have to offer. Locals recognize that their town is a haven for mountain bikers from far and wide and they welcome fellow riders with open arms. In no particular order, we’ve compiled a list of the best mountain bike towns America has to offer. Each one is unique and proven time and time again why they are so beloved. Moab, Utah is home to the perfect combination of old and new trails. As well as iconic favorites and newly built tracks, you can find trails with environments such as rocky or sandy terrain. No matter where you go on the trail, you can be sure to have big blue skies overlooking you as you ride among the famous red rocks. When you are in the town, you will notice right away that Moab is a mecca for mountain bikers. Although it is a small town, with a population of just under 6,000 people, there is plenty to do and there are several shops that cater specifically to mountain bikers. Since there are two National Parks, one giant State Park, and more camping options than you could ask for, mountain bikers seek to spend more than just one day in Moab. When the ride is over for the day, you can enjoy a cold beer at one of the several microbreweries or eat at one of the iconic local restaurants. If camping isn’t your thing, don’t worry. There are many affordable lodging options available from hotels, bed and breakfasts, cabins, or motels. During holiday seasons and weekends trails can fill up fast. If you are looking for some new riding buddies this is the perfect time to meet new people and make lasting friendships. Either way, Moab is a beautiful town that every rider can enjoy on and off the trail. Crested Butte is known for being one of the birthplaces for the mountain biking sport so it comes to no surprise that this little mountain town is one of the most famous amongst the mountain biking circuit. As a matter of fact, Crested Butte was the only United States stop for the Enduro World Series due to the long downhill tracks. Not to mention, each year Crested Butte hosts Fat Tire Bike Week- the oldest mountain biking festival in the States. Within Crested Butte there are hundreds of trails and routes that offer a wide variety of challenges. The alpine trails provide a green backdrop to the single track trails and the mountain peaks are a constant reminder of the remote location. Riders from across the globe recognize Crested Butte as a special place and look forward to what the trail has in store for them. Due to the popularity and fame of Crested Butte, the town is a haven for mountain biking. There are plenty of bike shops, cafes, restaurants, bars, and lodging available for those who come to visit. Locals are friendly and always eager to meet fellow riding enthusiasts so those who are new to Crested Butte will feel welcome. Besides, with the hundreds of miles of trails to choose from you will find yourself wanting to stay a bit longer. Those who come to Downieville are not simply passing through on their way to another city, they come to Downieville for at least this one reason- mountain biking. Downieville is tucked away, almost hidden, in the Sierra Mountains, making it a true mountain biking destination. The effort it takes to get to this mountain biking town will prove to be more than worth it as this remote location is full of spectacular views and is home to over 500 miles of trails. There are fewer than 350 residents in this sleepy little town, but when there is a mountain biking event taking place, riding enthusiasts come in droves. When the Downieville Classic (one of the most famous mountain bike events amongst the circuit) is taking place, nearly all lodging and accommodation is full. There has yet to be a rider that wants to miss out on the famous single track trails that offer speed and winding turns. The iconic red rocks set the stage for some of the most epic mountain biking experiences you could have. The scenery and the trails are rugged and many riders report to seeing some of the most beautiful sunrises and sunsets in Sedona. The rock formations will glow red or orange when the sun rises and sets each day. This visual aspect of Sedona not only makes it beautiful, but also unique. Sedona is home to a rich Native American history which is remembered through museums and festivals. The cultural heritage is widely celebrated amongst locals and draws a crowd at each event. Speaking of events, Sedona has been widely used for cinematic films and festivals due to the uniqueness of the location. The spectacular views and the rugged trails will have riders returning again and again. After a day on the track, you can relax in one of the downtown bars or cafes or catch a movie at one of the cinemas. Sedona is home to plenty of accommodation and there are so many outdoor activities to do riders will never tire of this lovely city. Located just near the Pisgah National Forest, Brevard is a hot spot for mountain bikers. 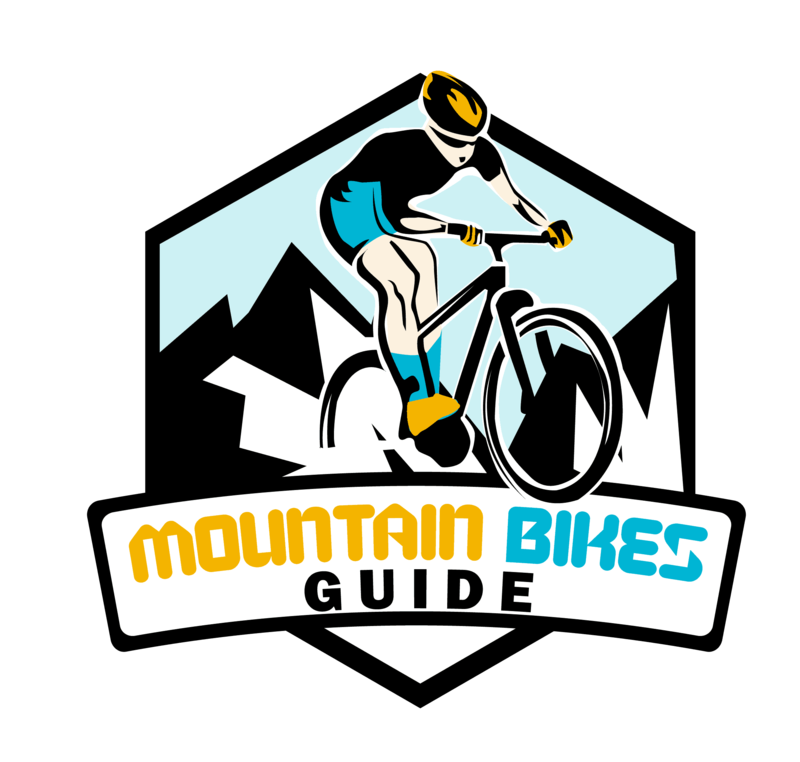 Each year for the Pisgah Mountain Bike Stage Race and The Pisgah Mountain Bike Adventure Race, nearly 2500 bikers come to take part in the events. The downhill single tracks are infamous amongst riders and once you’ve had a taste of what Brevard has to offer, you won’t be able to get enough. If you want to take a break from mountain biking and exploring the 200 miles of trials, you can spend the afternoon rock climbing, fishing, hiking, or camping. As a matter of fact, Brevard was named one of the five best cities in the United States to raise a child outdoors. With access to such large amounts of beautiful nature and such a wide variety of outdoor activities, many of the locals refer to Brevard as one of America’s well kept secrets. Besides outdoor activities, Brevard is also home to several art and music festivals each year. Not to mention the local pubs always have several beers on tap due to the popular and booming beer scene and the local cuisine is a must try for those who are visiting. Overall Brevard is an up and coming place to be for any mountain biker seeking the wild outdoors and large amounts of single track to choose from. The desert tracks of New Mexico can sometimes be overlooked. If you are a serious mountain biking enthusiast, do not make this mistake. The wide open landscapes and versatile trails make Santa Fe an enchanting place to mountain bike. Once you are in the state’s capitol, you will soon realize why the nickname of New Mexico is ‘The Land of Enchantment’. The sheer volume of delightful single tracks is worth a visit alone, yet when you find yourself finishing up your ride for the day, Santa Fe will welcome you with open arms and a full agenda of things to do or see. Santa Fe is one of America’s most famous cultural and art hubs and there are festivals of all types taking place throughout the year. When you find yourself famished after a day’s ride, the local food is more than satisfying and the flavorful dishes will keep you coming back again and again. As well as great food, there are nearly hundreds of options for accommodation, lodging, or camping available- it just depends on what you’re planning to do for the next few days ahead as it will take more than one day to fully enjoy what Santa Fe can offer. There are over 400 miles of worthy single track in Park City which gives riders of any level plenty of options for adventure and exploration. The IMBA (or the International Mountain Biking Association) designates cities or national parks as ‘Ride Centers’ when they can cater to any type of rider and do so with stunning trails. There are currently 27 across the globe and Park City is the only one to hold a gold-level status. Trust us when we say it is worth a visit. Park City is also known for being an excellent ski town, so if you visit during the winter months, take advantage of the winter sport scene as well. If you find yourself visiting during the warmer parts of the year, there are several free outdoor concerts and movies, not to mention there are always activities and events held specifically for kids, which is great if you have a family. Park City has something for everyone, on and off the track. Park City is such a popular destination year round that it is home to more tourists than actual residents at any given time. The welcoming and friendly locals are happy to point visitors in the right direction for great food, great beer, or great fun. There is so much to do in Park City you could visit year after year and still find something new and exciting- regardless if you are on or off the track. According to Trail Runner magazine, Bend is one of the top trail town’s in America. With over 700 miles of single track and nearly 300 miles of connected trails, mountain bikers of all skill levels have more than enough to explore. Riders love making a visit to Bend and the beauty and wonder on the trails is picturesque. Trails often lead to waterfalls, through alpine meadows, and the lush green and colorful forests that Bend is known for. When you are out on the town, you will find restaurants, bars, accommodation and entertainment that rival many other towns in terms of quality as well as price. The downtown has a unique charm and makes visitors feel like they are in a small town due to the friendliness of the people and the historical buildings. The Cascade Mountains overlooking the city are home to the tracks and trails. Of course you can also take advantage of hiking or camping as well as fishing or kayaking. The natural beauty of Bend is breathtaking and bikers visiting Bend for the first time are always blown away by the sights on the trails as well as in the city. With trails catering to riders of all levels (and even 30 paved trails) Sun Valley is an excellent place to ride. Trails and single tracks range from smooth and fast to rough and rocky terrain. Not to mention trails often lead riders through meadows, and amazing alpine views. Sun Valley is also home to a large bike park that can be used by riders as young as toddlers- which is perfect if you have little ones. Since Sun Valley can offer so much variety to riders of any age and any level, it is quickly becoming a top destination for families who ride together. In town, there are a number of high quality restaurants and local bars you can visit and you will be more than satisfied. In addition, there is a wide range of accommodation to choose from varying in prices from budget to lavish. If you want to spend a day off the track, you can quickly fill your time with shopping, museums, cinemas, art, and/or music, and much, much more. This New England town is home to one of the largest (and most popular) mountain bike festivals in the region- NEMBAFest, and if you ever get to ride on the trails in East Burke, you will quickly see why this area is so popular for mountain biking. During the summer months, the trails are full of new and returning riders seeking the downhill descents or the cross-country terrains. East Burke is named one of the best places for mountain biking nearly every year by several mountain biking and sports magazines and blogs. The several hundred miles of single tracks and trails are beyond beautiful and the variety can provide something for any level of rider. In East Burke there is definitely a small town charm and the close knit community readily welcomes visitors. There are more than enough great restaurants that span across any budget. Not to mention, accommodation is always available and no matter your budget, you can find something suitable. All in all, there is always something fun to do in East Burke, especially if you are there for the mountain biking. In the end, no matter which of these mountain biking destinations you choose, the towns that they reside in are welcoming and fun. Riders from all over the globe flock to each one of these places for the trails but they stay because of what the towns have to offer. When you find yourself planning your next mountain biking excursion, make sure to include at least one of America’s best mountain towns.